We’re delighted to welcome Shibui’s newest yarn to the shop this week: meet Dune. 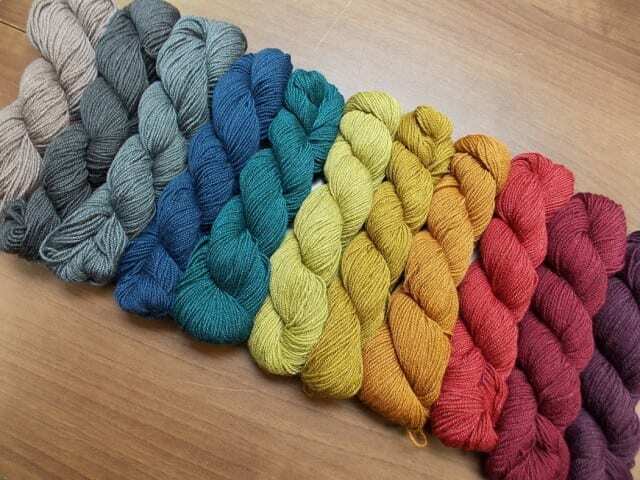 Dune is a luxurious dk weight blend of 50% baby alpaca, 25% baby camel, and 25% silk. The alpaca and camel fibers give it a bit of a fuzzy halo, the silk gives it some lustre, and all three have great drape. To say Dune is soft is a bit of an understatement. 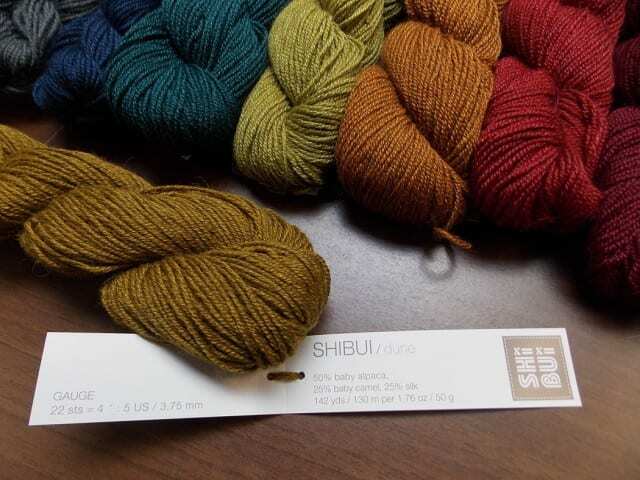 Shibui kindly sent us a few advance skeins of Dune earlier this summer, and I’m the lucky so-and-so who gets to knit them up into a sample garment for the shop. I’m nearing the halfway point on the “Motif” wrap, a new Shibui pattern for Dune that’s free with the purchase of yarn for the project. It’s an easily memorizable stitch pattern, just little squares of reverse stockinette on a stockinette background, but entertaining nonetheless. 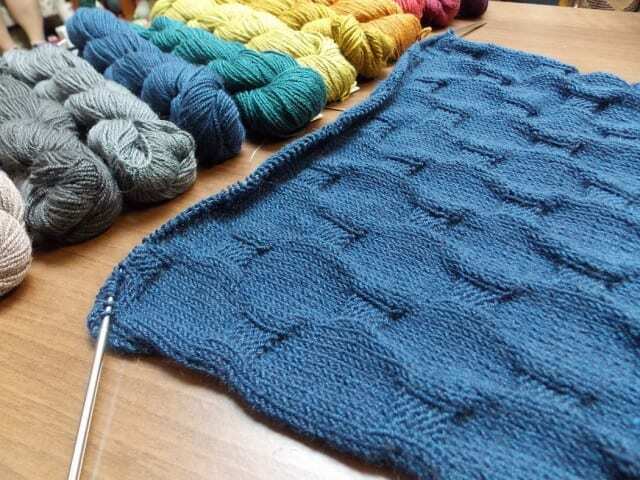 Decadent yarn and simple pattern make for a soothing, satisfying project. 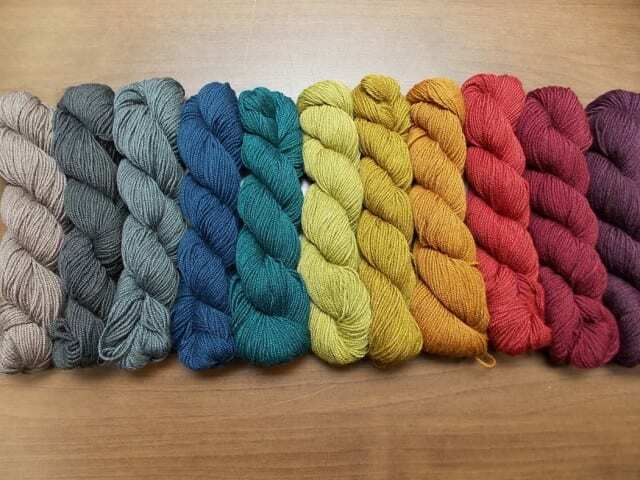 Shibui is leading a Fall Knit-Along featuring “Motif” on their Ravelry group; come by soon to select a color and be ready to join the Motif Knit-Along by September 23rd! Look for more pattern ideas for Dune among Shibui’s Fall collection here at the shop, and check the “DK weight” board on our Pinterest page for more. Come by the shop to see Dune for yourself, and check back here soon for more new goodies from Shibui! I’ve been thinking of doing something in a silk mix. This yarn looks scrumptious!